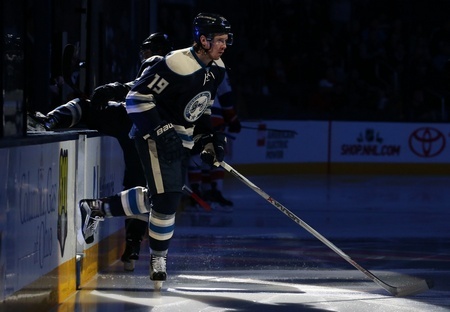 The Columbus Blue Jackets have traded centre Ryan Johansen to the Nashville Predators for defenceman Seth Jones. Many people saw a deal like this coming, what with Johansen benched by Columbus head coach John Tortorella. He was scratched on December 17 of 2015 against the Arizona Coyotes after sitting out the full third period of the previous game, so it was pretty clear something was up. But Johansen insists, in the style of all press-ready hockey players, that there was nothing really wrong with his relationship with Torts. Regardless, it’s water under the bridge now and Johansen is off to Nashville. He’s in the second year of a three-year contract worth $12 million and will be a restricted free agent after next season, so it’ll be interesting to see how the Predators approach him. He’ll have a lot to prove, that’s for sure. The 23-year-old Johansen has 26 points in 38 games this season. In Jones, the Blue Jackets get the help they need along the blueline. And the 21-year-old defenceman from Arlington gets a chance to revel in an expanded role, without the shadow of Shea Weber and Nashville’s impressive defensive group to haunt him. Jones has 11 points in 40 games this season and seems primed to explode, so Columbus was more than happy to give him the opportunity. At this outset, this deal really does look like one that can and will benefit both teams. And it should be a trade that can be assessed not just now, but even 10 years down the road as both Johansen and Jones mature into top-tier players in their respective positions.